WHY Choose Pine to Palm? 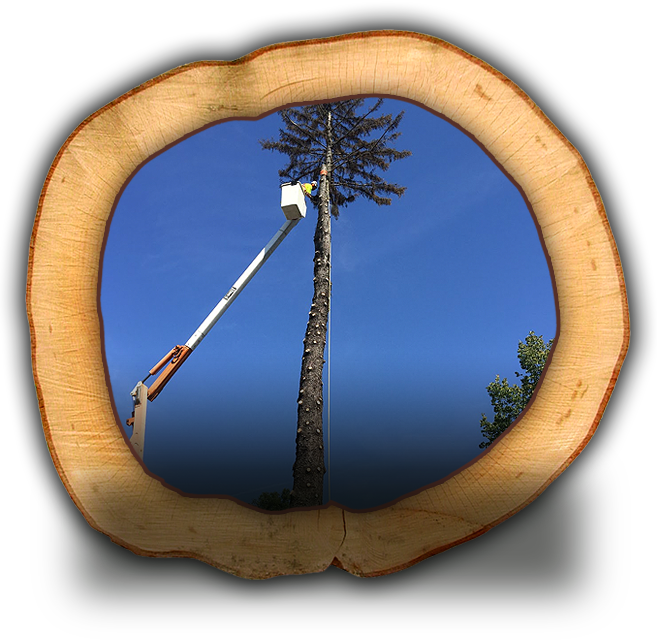 Whether it’s with our climbing arborists, our 60 foot bucket truck, or our 75 foot spider lift, there is no tree we can’t get to! 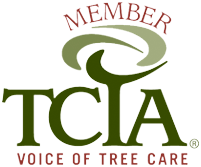 We’re a tree care company that is passionate about what we do! We are a locally owned and operated family friendly company who hires competent & trustworthy employees! You can always be at ease knowing Pine to Palm is at your business or home. We offer both quality and value! Check out our reviews online in both our Winnipeg & Steinbach locations! 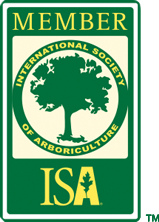 An arborist holds special training in the area of trees and shrubs. Arborists are knowledgeable about the science behind trees – how they grow, what they need and how to provide proper care including diagnosing trees for health, diseases/pests and to make sure your tree is healthy for many years to come! Excellent service! Really friendly and helpful. The guys saved a birds nest from our tree to show the kids and completed the job for less than quoted because it went smoother than they anticipated! Thank you so much for your service today! I am forever grateful for your compassion and efforts! Thor also says thanks! Thanks again Chris & Roxanne! Always impressed by your prompt replies and professional service. Would definitely recommend you to anyone. Thank-you so much Chris & crew! We are so impressed with your great professional service! Excellent job!! Highly recommend your service!! Chris is one with the trees! He does more than cut them, he provides education to keep your trees health and happy! Friendly, professional service, and He has become our only go to guy for things tree. Thanks Chris! Our trees thank you. The owner was very friendly and easy to talk with. He took the time to explain the procedure and the reasons behind it. The crew showed up on time and took out two larger trees at the front of our property. Everyone was very professional and efficient. Every branch and twig was removed. I wouldn't hesitate to work with them again. And will also recommend them to all my friends. Chris and team had a quick response to my inquiry. Got a reasonable quote. Then they showed up for their appointment and took down our huge tree super quick and then cleaned up as if they hadn't been there. We would totally recommend their services. Plus it's fun to watch! P to P did a great job of pruning our trees, They also cleaned up our old Christmas tree along with the branches they removed. Great service! Amazing to watch them take down a tall tree in tight space. Not only did they pile the wood by our fire pit, but not a branch or twig was left on the yard or driveway. Stump grinding and root removal also provided. Great peace of mind having this taken care of in such a professional way! Highly recommend this company! 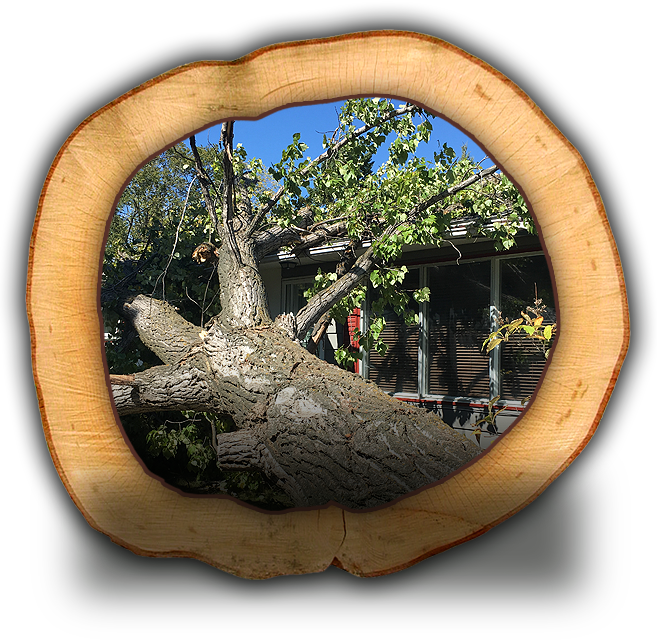 We specialize in storm damage and hazardous tree removals. In the case where a tree has fallen on a house, structure, pool, etc in a storm, we can even assist you in helping with your insurance claim and can bill directly to your insurance company! 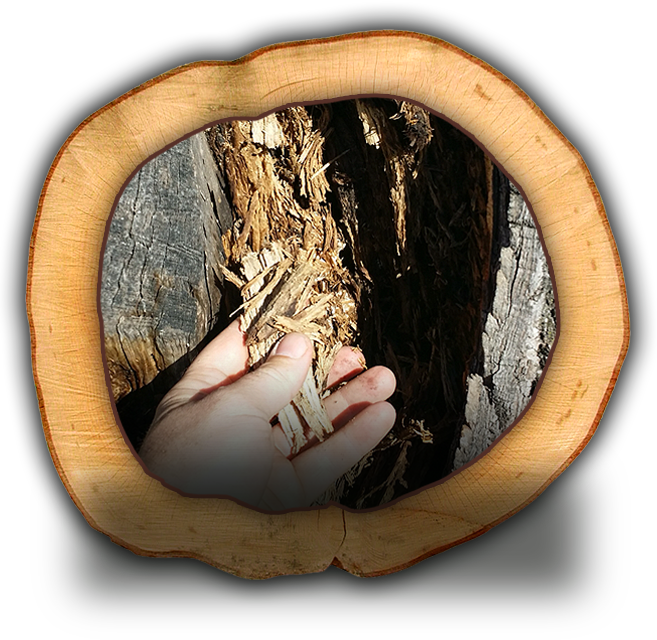 It can be an agonizing and emotional decision to remove a tree as it takes many years for a tree to grow and there is often sentimental value. We do our utmost to give you all the options available before removing the tree, however sometimes it’s unavoidable. 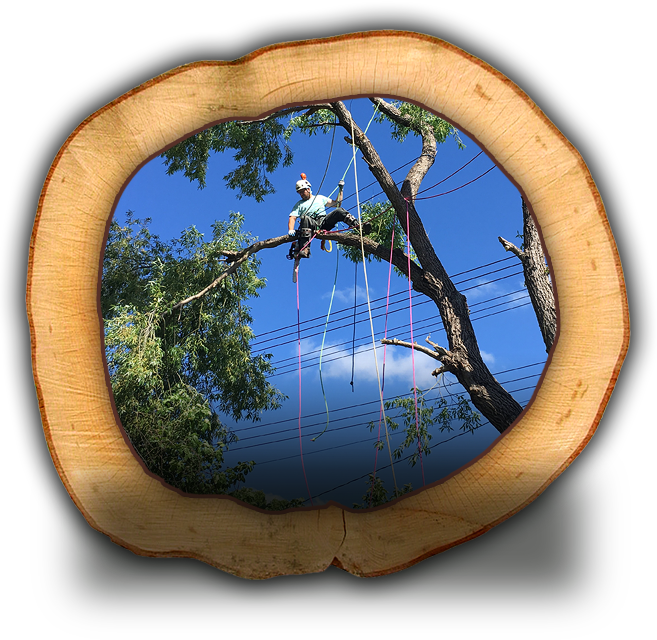 Our arborists can assess when a tree needs to be removed. We specialize in high risk, large tree removal. 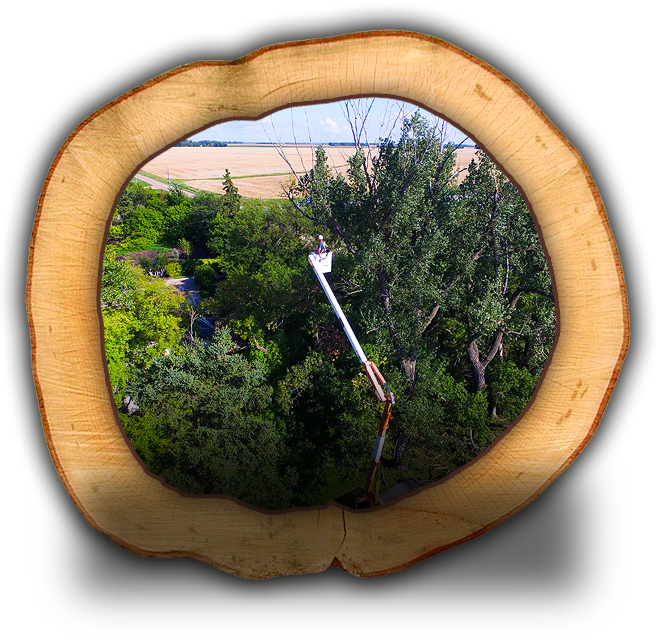 Our arborists are trained to safely remove a tree while protecting surrounding structures and property. On site brush chipping is a quick and easy way to get rid of trees that may have fallen or have been cut down already. When stacking the brush, please make sure all the “butts” or ends are facing the same way to ensure quick and economical chipping. 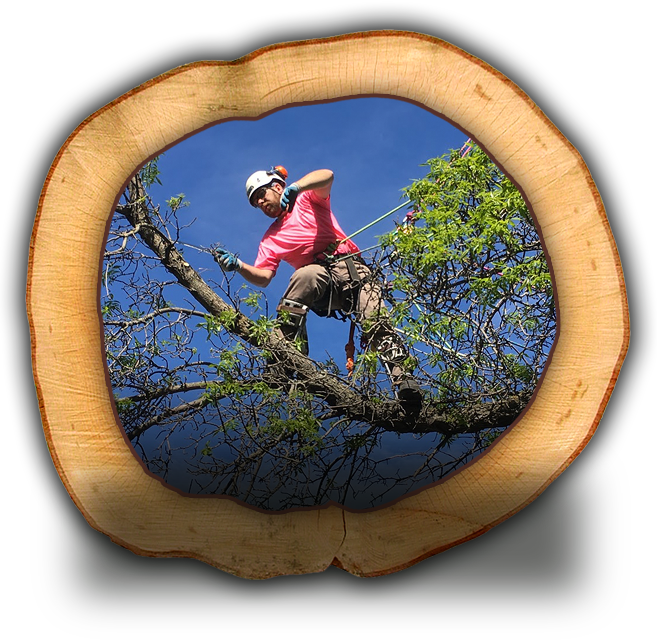 Our arborists can assess your tree for health & safety. Whether you want to remove a stump because you’re planting another tree, doing a construction project or want to be able to mow over the area, stump grinding is a quick, easy and cost-effective solution. Our machine grinds the stump leaving you with a mixture of soil and chips that will break down and provide nutrient-cycling for your lawn and any plants or shrubs around it! 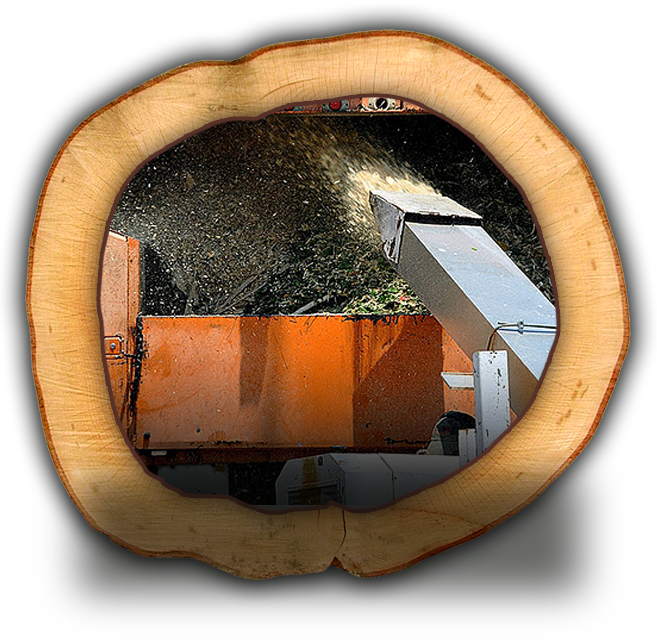 We typically stump grind down 4 – 12 inches, depending on your requirements. For planting another tree in the same location, you will want it ground down 12 inches. If your tree has a split or crack or has the potential to fail (break apart causing damage to people or property) cabling or bracing might be the option for you. We use a special dynamic cabling system which allows the tree to continue to grow and thrive and gives you the peace of mind to know you have prolonged the life of your tree and can enjoy it for years to come! 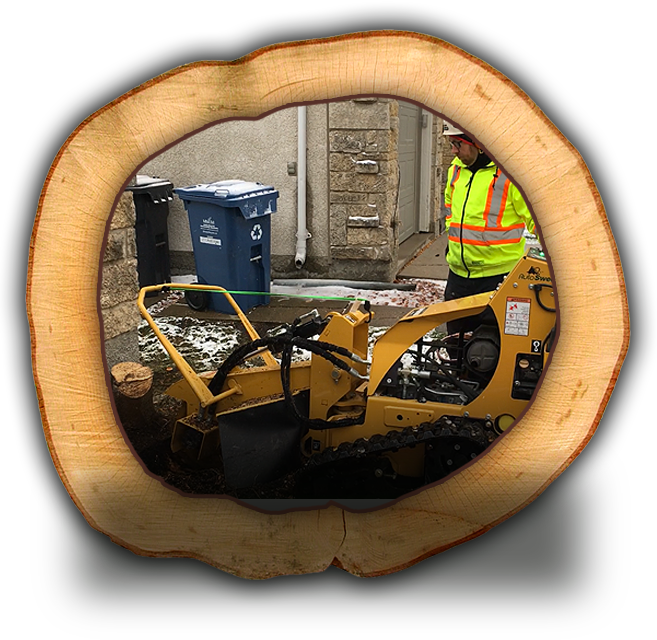 If you are a condo board, property maintenance company or have commercial tree needs, we are fully equipped to handle any small or large project in an efficient and cost-effective manner. Are you a developer or home owner and are building a house and have trees on site? Did you purchase a new home and now the trees around the home are struggling? 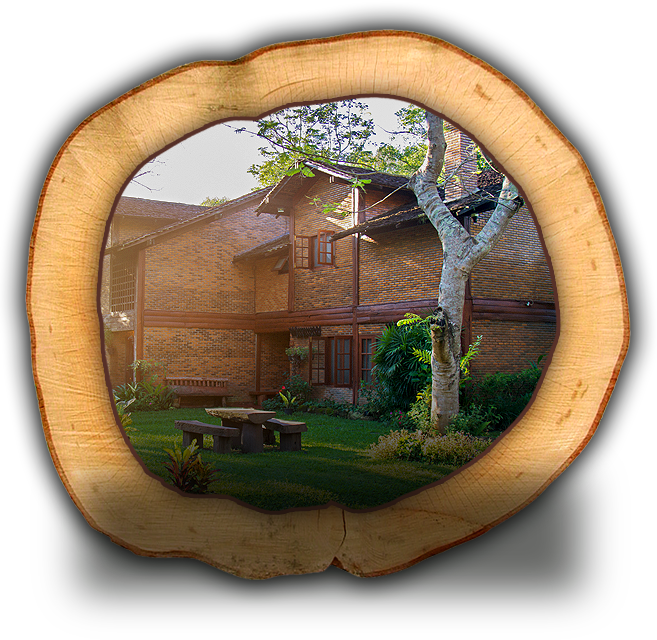 Our arborists can help to assess, plan and preserve your trees. Advance planning is the best solution to protect your trees! 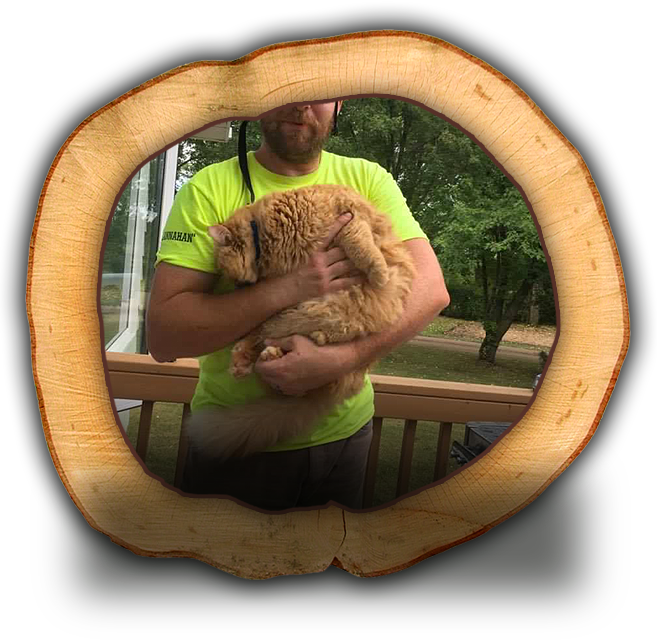 Due to popular demand, we offer cat/animal rescue from trees. Contrary to popular belief, they don’t always come down on their own! If an animal has been in the tree for more than 24 hours, give us a call! As each municipality/city has their own policy on cat rescue and some Fire Departments are no longer offering this service, we are able to rescue your animal at a fraction of the cost!